LCMS Stewardship Ministry discusses how steward leaders can best communicate to their congregations’ members that stewardship is more than the church begging for more money. LCMS Stewardship Ministry considers the journey for a pastor and congregation in leading stewardship. Only one standard, that of faithfulness, guides them along their way. LCMS Stewardship Ministry shares insight into how individuals mature as Christian stewards. Stewardship maturity begins at the baptismal font, the altar and the pulpit. But it doesn’t stop there. LCMS Stewardship Ministry discusses the connection between freedom and stewardship. God has in Christ set His children free from the burden of sin so they can be the faithful stewards of the freedom that is given in the Gospel. LCMS Stewardship Ministry shares the disciplines of being a Godly steward. Faithful stewards are marked by a desire to learn more about who the Lord has created them to be as stewards. LCMS Stewardship Ministry continues to address questions church leaders might ask when working with a congregation on stewardship matters. LCMS Stewardship Ministry addresses some of the questions that stewardship leaders might ask when they are contacted to consult with a congregation on stewardship matters. LCMS Stewardship Ministry highlights how individual and congregational stewardship is linked to trust — trust in the Lord and trust in steward leaders. LCMS Stewardship Ministry discusses the need for local congregations to turn their focus from the HOW and WHAT of stewardship to the WHY of stewardship. How we manage our bodies, our lives within our families and our lives with the Lord is a matter of how we steward the Gospel. In the December 2016 issue of StewardCAST, LCMS Stewardship Ministry shares information about barriers to being a faithful steward and the ways these blockades can be removed. The November 2016 issue of StewardCAST highlights the critical union of stewardship and mission within the church. Their relationship is inseparable and has little to do with any kind of funding the mission concept. 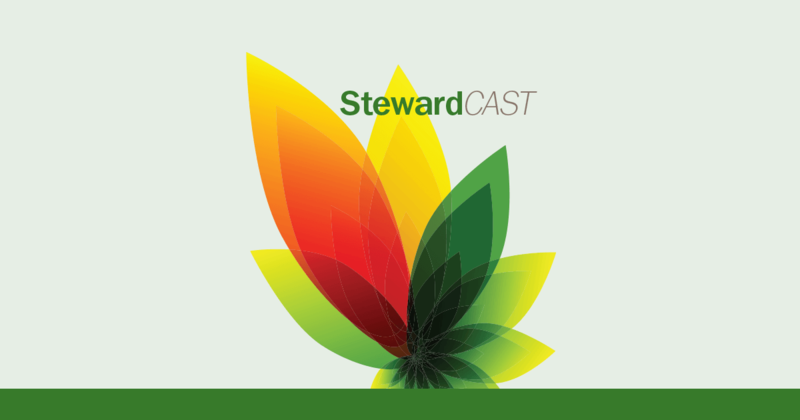 In the October 2016 issue of StewardCAST, LCMS Stewardship Ministry encourages congregation leaders to teach stewardship in the current Entitlement Age. In the September 2016 issue of StewardCAST, LCMS Stewardship Ministry focuses on how the Body of Christ needs to learn to be true stewards of time. The fleeting nature of time makes it a strong candidate for stewardship formation. In the August 2016 issue of StewardCAST, LCMS Stewardship Ministry shares that the first step to embracing a stewardship of life is recognizing our dependence upon the Lord and our interdependence with the world. God’s stewards are called to see all of creation as a gift, allowing them to be totally “other” centered. In the July 2016 issue of StewardCAST, LCMS Stewardship Ministry highlights that stewardship, when it is taught from the position of the Scriptures and Confessions, becomes not about the ask but all about the thank you.